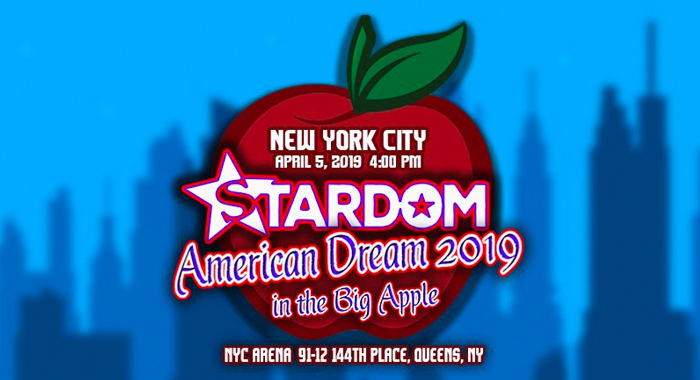 For the first time ever, World Wonder Ring STARDOM will make its debut in New York City this Friday afternoon at the NYC Arena in Queens. For those in town for WrestleMania weekend there are still some tickets available for the show. It will also be streamed through FITE TV kicking off at 4PM ET for just $9.99. The event will be headlined by a first time encounter between Wonder of Stardom Champion Momo Watanabe and the rapidly rising Utami Hayashishita, who has made it her goal to win all of the various titles in 2019. Hazuki will also defend the High Speed Championship against Dust, collectives from Oedo Tai and STARS will clash in an 8-woman elimination match, and more!